Blog » Emotional Balance » Enjoyment Matters! Research has shown that those who do not drink alcohol at all die younger than those who do. Like many of these studies we will never hear more about it. Yet it confirms the pattern often seen that studies, particularly about nutrition are contradictory. No wonder we get confused. Daniel Sarewitz, a professor at Arizona State University’s School for Future Innovation and Society wrote an essay about the reams of mistaken or useless research findings that are generated each week. This applies to medical research too. Some 40% or major studies, which have influenced medical practice, have never been replicated. The key to any scientific progress is that a finding can be replicated. If it cannot be then the finding may be due to chance or how the data was “crunched”. In 2015 The Lancet (a notable Medical Journal) editorialized that “much scientific literature, perhaps half, may simply be untrue”. This might not matter if dubious or straight out wrong findings were not used as the basis for public policy. Low fat diets are a good example of this. And it gets even worse when even after the errors are proven, public health clings to its ideological stance despite evidence to the contrary. Claims of a certain food or activity being “linked” or “associated” with something are highly suspicious. It is very easy to make statistical linkages. But the fact that two things may happen at the same time does not mean one causes the other. You might as well correlate life expectancy (to return to the example above) with which TV news coverage that people watched. You could get a statistical correlation with little effort. Not everything we eat or drink has to be seen through the prism of whether it is good for us or not. And “good for us” can mean different things. Enjoyment of food is good for our mental health and overall well-being. When we enjoy good food, possibly with good wine (or your preferred beverage) in good company we are both relaxing and having fun. This also is good for our relationships. So, we are covering three pillars of health by this one activity. But it goes further. Much of what we are told by experts is not good for us is based on unverified (and in some instances disproved) research. 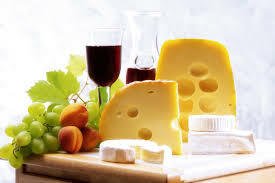 We know the French enjoy wine and cheese yet have lower rates of obesity than many other countries. Last week I had the pleasure of going to a new establishment in the city which pairs wine with cheese in the best French traditions. Their “Vin Flight” provides four cheeses from their menu paired with four wines. To say that this is absolutely magnificent would be an understatement. Other options included a similar foursome but with sparkling wine or with cognacs. The low fat anti-alcohol zealots in public health no doubt would be appalled to see a line of people waiting to get in and, shock horror, enjoy themselves. Is this something to do everyday? Of course not. But as a treat it is brilliant. Not everything we do in life has to be assessed on some narrow public health academic miserablists view of what is good for us. Sure, we want to be looking after our health so we can remain healthy for longer. This includes eating mainly real food and having water as our primary beverage. We have a finite number of minutes on earth. We need to enjoy as many of them as possible. Good food and wine in good company is part of this. Dr Joe Kosterich MBBS is an author, speaker, media presenter and health industry consultant, who wants you to be healthy and get the most out of life. Dr Joe also gives practical, motivational health talks for the general public and organisations where he is known as “An independent doctor who talks about health”. His latest book “60 minutes to Better Health” is available on Amazon.